Few lights on your import automobile’s dashboard are as worrisome as the elusive check engine light. With other warning lights, such as your engine oil light or engine temperature light, you at least have a vague idea of what is plaguing your vehicle. However, with the check engine light, it’s really anyone’s guess as to what is causing your vehicle to throw up a red flag. The check engine light on your vehicle is not meant to tell you, the driver, exactly what is wrong with your engine, just that you need to get it into a mechanic’s shop as quickly as possible so that they can identify what the issue is. As a result of its enigmatic nature, many people in the Chesterfield area have no problem letting their check engine light shine bright for a few days before they bothered to have it dealt with. 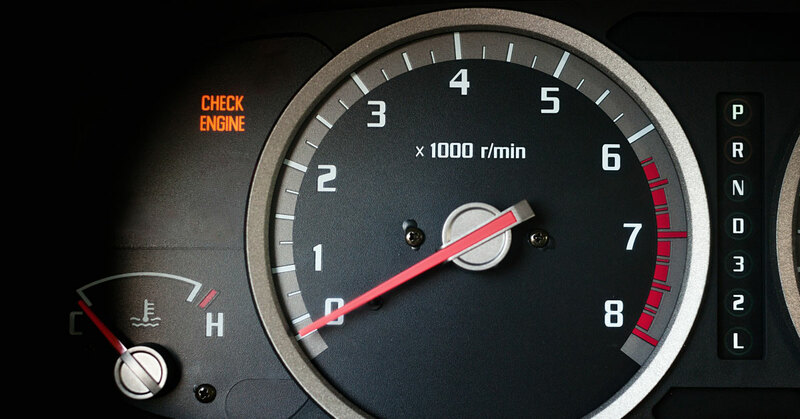 In part one of a multi-part blog series, we are going to go over the most common mechanical issue that results in your check engine light being tripped. Inside of your import vehicle, there is a tiny computer. While it isn’t the type of computer that you are probably used to dealing with, it monitors the overall health of your car and saves diagnostic information to be reviewed during routine maintenance checks. Connected to this computer is one of the most important, yet often forgotten, components of your engine; the oxygen sensor. Most vehicles contain between 2-4 oxygen and a fault with any of them is enough to cause your check engine light to come on. The oxygen sensor in your vehicle is responsible for monitoring the unburned oxygen that exits your vehicle through the exhaust. By monitoring this unburned oxygen, your oxygen sensor can calculate how much fuel is burned by your engine and relays that information to your vehicle’s computer. If a vehicle’s oxygen sensor is faulty, it is unable to provide the correct information to the onboard computer in regard to fuel consumption which leads to a decrease in fuel efficiency and an increase in emissions. What Causes a Faulty Oxygen Sensor and How do I Fix it? Like nearly every component on your import vehicle, your oxygen sensors degrade. The sensors get covered in oil ash from your vehicle’s exhaust which reduces the sensor’s ability to accurately measure the amount of unburned oxygen that is exiting your import auto. If this issue is ignored for too long, not only will it end up costing you more in the fuel department, but it could also damage your catalytic converter which can cost more than $2000 to have replaced. Oxygen sensors are usually not difficult to replace and your vehicle’s owner manual most likely details the exact location of the sensors. If you’re in the Chesterfield area and your import auto’s check engine light is on, give us a call at Kudos Import and Performance. Our mechanics will run a quick diagnostic to see what the issue is and let you know the exact steps that need to be taken to fix it. Don’t let a small issue turn into a big problem, contact us today and let us help you keep your vehicle as healthy as possible.